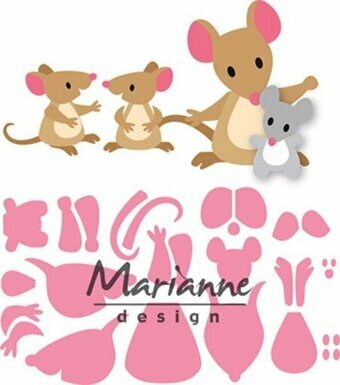 Marianne Design Collectables Eline's Mice Family. These cute mice are a cute addition to the Eline's animals collection. Includes 18 pieces. Total size: 4.45 x 3.31 in. Craft die from Memory Box featuring fish. 2.7 x 1.5, 0.4 x 0.3 inch. Sticko-Classic Stickers. Sticko classic stickers are available in a variety of designs and themes to fit any and every occasion. They are ideal for embellishing cards, scrapbook pages, craft projects and so much more. This package contains Family: nineteen stickers on one 12-5/8x5-1/2 inch sheet. Imported. Family themed craft die from Tonic Studios featuring the word "Brother". Family themed craft die from Tonic Studios featuring the word "Grand". Family themed craft die from Tonic Studios featuring the word "In-Law". Family themed craft die from Tonic Studios featuring the word "Nephew". Family themed craft die from Tonic Studios featuring the word "Son". Winter themed paper craft die featuring deer. CottageCutz are thin metal dies, like a QuicKutz. They are easy-to-use and add great detail to any craft project. This die is compatible with the following machines: QuicKutz Squeeze, Revolution, Sizzix / Ellison Big Shot, BigKick, CuttleBug, SpellBinder Wizard and Accucut Zip'eMate. Adapters/shim may be required on some machines. Made in the USA. 100% lead free. Embossing folder featuring the sentiment "Together is our favorite place to be". 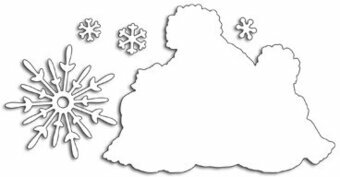 Focus on family and friends with this Together Is Our Favorite embossing folder. The whimsical font and 4.25 x 5.75-inch design make this folder a great way to add texture to sentiment cards. Family themed craft die from Tonic Studios featuring the word "Father". 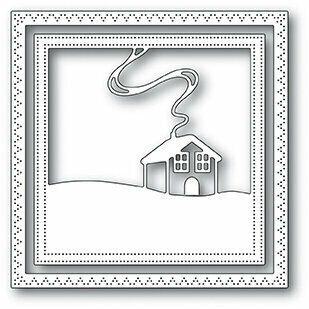 Winter themed Memory Box craft die featuring a Family Cabin. 100% steel craft die from Memory Box. For use on cardstock, felt, and fabric. Cut, stencil, emboss, create. Use in most leading die cut systems. Christmas themed craft die featuring a family of deer and "Merry Christmas". CottageCutz metal dies are universal, easy to use and add great detail to any craft project. They are compatible with most brands of die-cutting machines. Adapters and shims may be required on some machines. Use with paper, cardstock, vinyl, vellum, adhesive-back paper and more. Made in the USA and 100% lead-free. Family themed craft die from Tonic Studios featuring the word "Step". Marianne Design: Collectables - Eline's Chicken Family. 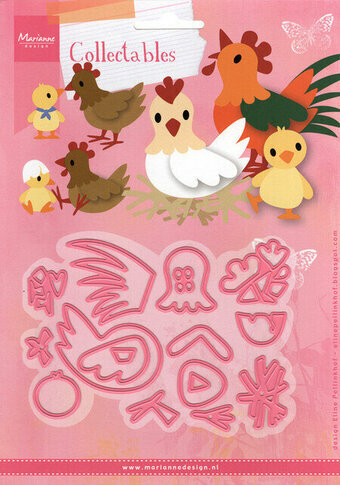 This is a great die set to make cute cards and layouts for kids/spring/farm themed projects. 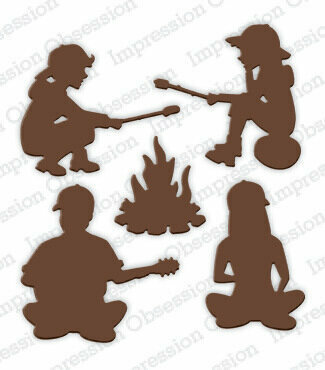 Collectables dies from Marianne Design feature 'layered' cutting dies designed for use with felt and paper. 18 dies. Smallest: 0.25" x 0.25". Largest: 1.80" x 1.40". Christmas themed paper craft die featuring a Horse With Sleigh. CottageCutz are thin metal dies, like a QuicKutz. They are easy-to-use and add great detail to any craft project. This die is compatible with the following machines: QuicKutz Squeeze, Revolution, Sizzix / Ellison Big Shot, BigKick, CuttleBug, SpellBinder Wizard and Accucut Zip'eMate. Adapters/shim may be required on some machines. Made in the USA. 100% lead free. Family themed craft die from Tonic Studios featuring the word "Daughter". 100% steel craft die from Memory Box featuring two deer in a clearing. For use on cardstock, felt, and fabric. Cut, stencil, emboss, create. Use in most leading die cut systems. Family themed craft die from Tonic Studios featuring the word "Niece". A handsome crest shape that can be used in so many different ways. Two of the largest die template create two different silhouettes (a scalloped edge and a straight edge). Nest the smallest die together to create the geometric pattern. A unique addition to your die template collection. Spellbinders presents "A Gilded Life" studio by Debbie Murray and Shea Fragoso, a mother/daughter design team who have an eye for beauty and luxury. From pendants, bezels and matching die templates to embellishments and more, this unique and glamorous line of mixed media products brings romance, European flair and affordable luxury to all your handmade one-of-a-kind creations. Approximate Size: 1: 3 1/4 x 4 1/4", 2: 3 5/8 x 5 1/8", 3: 4 1/4 x 5 7/8". Family themed craft die from Tonic Studios featuring the word "Uncle".